One of the biggest problems, besides the pacing problems, is the lack of humor. In the vein of ’80s classics like “48 Hrs.” and “Lethal Weapon,” “LAPD African Cops” is a modern rendition on the buddy cop film. This time it’s two West African cops in America. Both have recently earned their U.S. citizenship and decide they want to join the Los Angeles Police Department to ‘Protect & Serve.’ There’s little tolerance for one of the officers so he’s paired with his fellow countryman, but instead of executing their duties in compliance with LAPD regulations they use their African culture to dictate the rules. It’s a funny premise that comes with a high expectation of belly laughs but this is one laughless excursion. 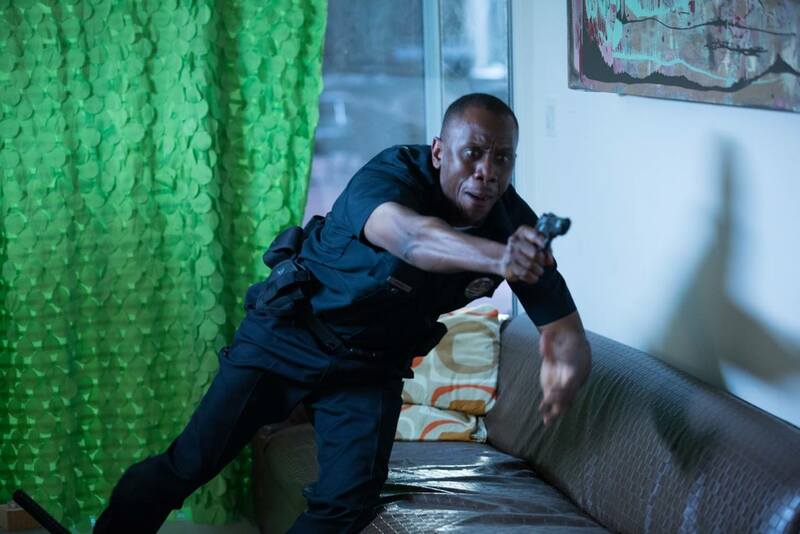 Pascal Atuma (doubles as writer/director) and Oscar Atuma star in the film as the “African cops,” with a cast that includes Vanessa Bell Calloway as their superior (a role she excellently plays), comedian/actress Luenell, Dorien Wilson and Jaszmin Lewis. One of the biggest problems, besides the pacing problems, and the lack of comedy, is the lack of story. There are little pieces thrown in throughout the first 50 minutes, but it constantly takes breaks from it in order to engage in unfunny gags. Then it attempts to squeeze in a quick, convoluted story in the third act, but by this point it’s already obvious that the writer came up with the story as an afterthought to the jokes, and since there is practically no character development throughout the film, we have little reason to care about what’s happening. The filmmakers go for far too many easy laughs in this one. Threatening to arrest two teenage boys for wearing oversized pants and fart gags, which come after eating too much cassava makes this one mildly amusing.